When he suggested we try this place, I was somewhat surprised, thinking that if it’s anything like British airfield cafés, the best we could hope for was something fried in a bread roll. Oh, how wrong I was…! Head Chef Noël Raffin is clearly an artist. And a good one at that. 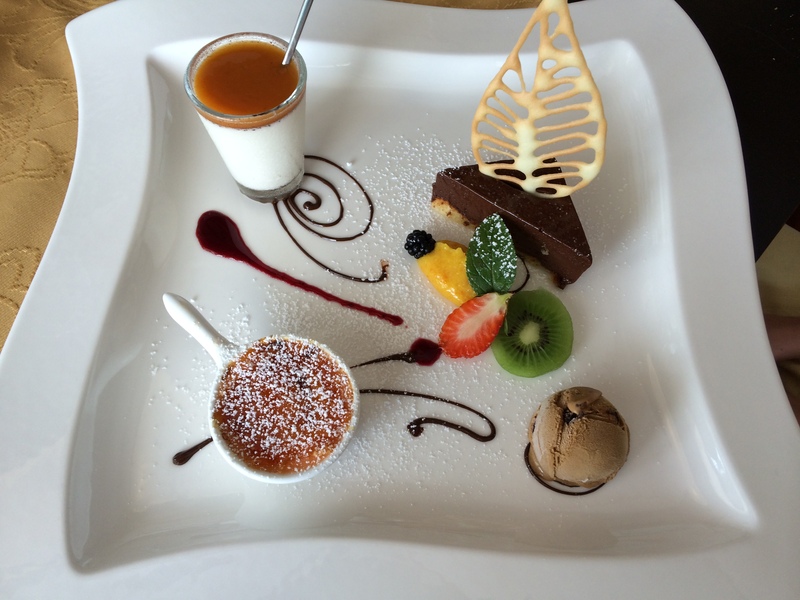 Just look at the presentation of the dessert sharing plate – simply beautiful and certainly one to slow down the passage of spoon to plate whilst you admire the artistry before tucking in. This particular dessert plate included a apricot panna cotta, chocolate mousse, coffee ice-cream and, of course, a petite raspberry crème brûlée. The photograph is a little deceptive in that this ramekin was around 7cm in diameter, however the warm raspberry pink custard was peculiarly pleasant reminding me of the fun to be had picking and eating in-season raspberries straight off the bush. The caramelisation was relatively thick but easily breakable, and no sugar grains were visible on the surface demonstrating that Noël had been paying attention with his blow torch! Overall, in amongst all the other flavours and textures on this plate, this was a good effort, especially considering the interesting raspberry influence. 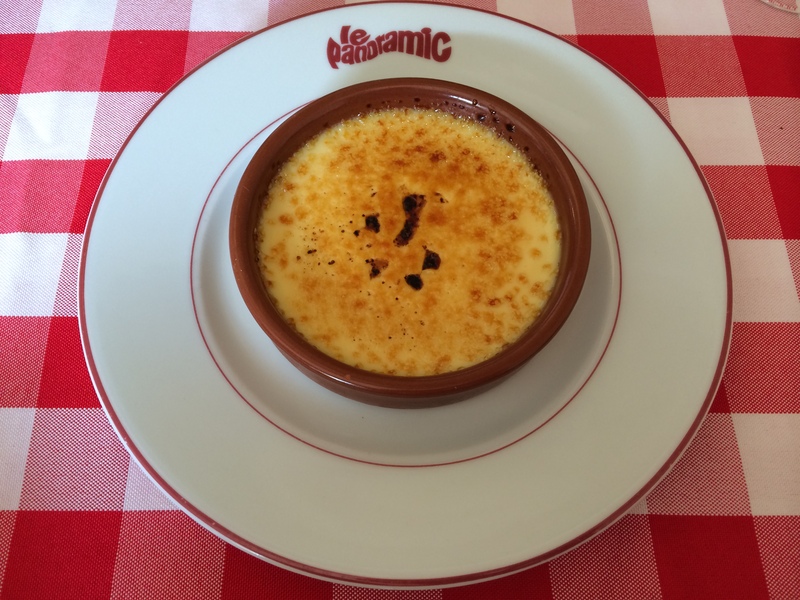 We also learned that Noël also prepared his brûlées with liquorice, coffee and pistachio custards… Amazing!! Sadly, none of these were on offer otherwise this lunch might have taken somewhat longer…! 8/10. Strictly speaking this shouldn’t make it on to the blog as it wasn’t on the dessert menu and it’s not a crème brûlée, but I’m all for drawing attention to things that made me laugh out loud and prompt swift orders with the waitress… No need for a long review, simply a photo will cover this rather curious, but tantalising beverage! 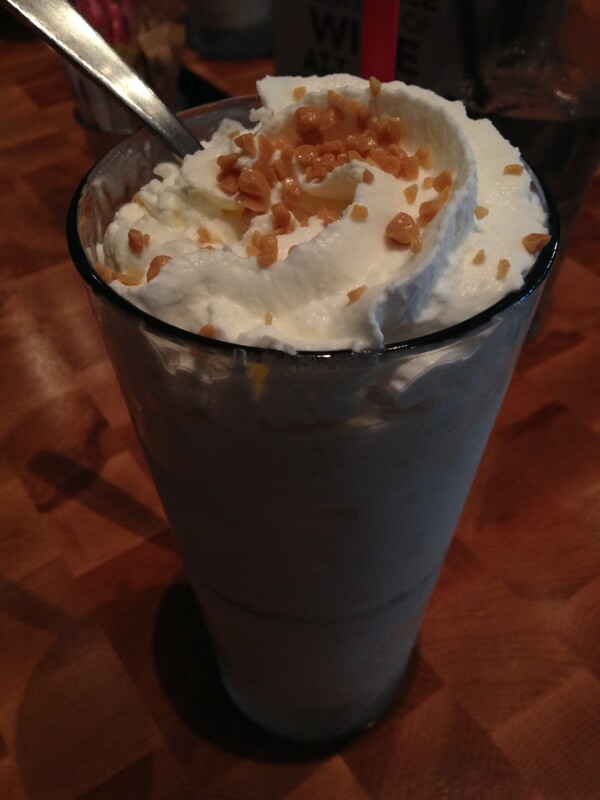 I give you the Crème Brûlée shake. 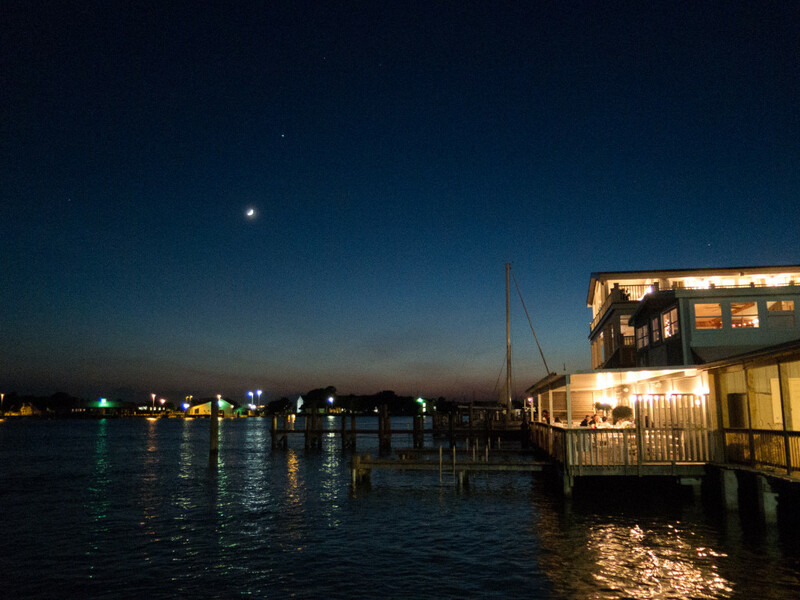 The Front Street Grill in set right on the water front with views out across the harbour, and at sunset it’s a lovely spot to eat. 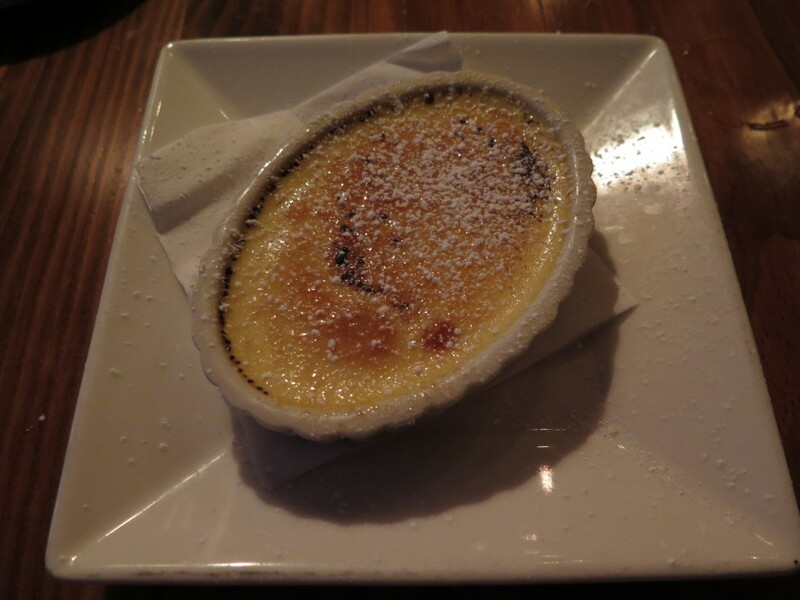 Tonight was the night to ‘go proper southern’ with Shrimp and Grits, a first time outing for me, and outstanding it was too… When the time came for dessert, the ‘rule’ was required to be enforced again, so a Butterscotch Brûlée was requested. Our waiter proudly told us as an ex-employee of the Crabs Claw, this offering was ‘way better’, and he wasn’t far wrong. A shallow oval ramekin provided the carriage with a light sugaring to cover. No surprises here, but the custard proved to be a delight! It was almost runny in consistency, but the very gentle butterscotch overtones really made it something special, like a Werther’s Original had been slowly melted into the custard. Unique and quite lovely. So, the waiter wasn’t wrong, it was better than the Crab’s Claw, and almost one the best simply because of that very light butterscotch undertone. 8/10. On a recent two week trip to the USA, I found myself being at a loose end over a weekend. 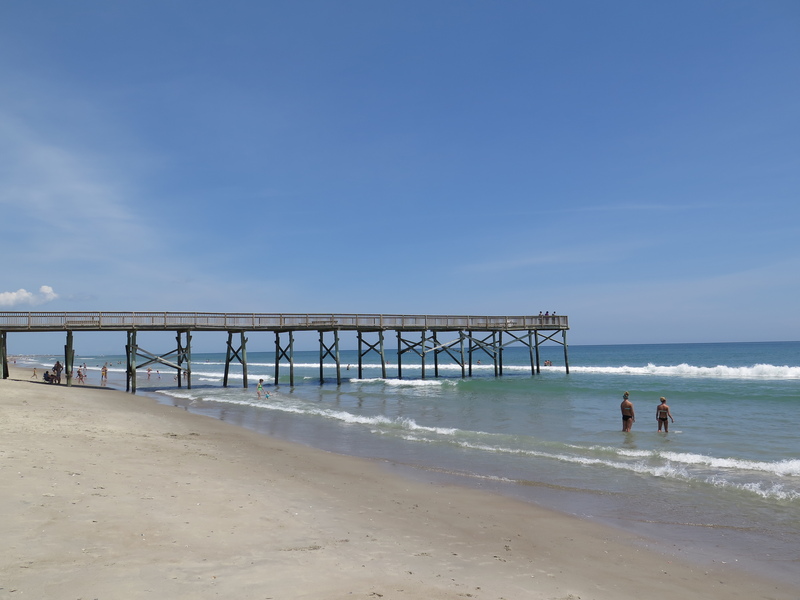 So I took a trip out to the North Carolina coast to Atlantic Beach. Hurricane Irene caused significant damage when it passed directly through here in 2011 destroying everything in it’s path as only a Category 1 hurricane can do. This was starkly evident given the state of the pier connected to the hotel which we were told used to be three times as long as it is today. As with any road trip, part of the fun is finding good places to eat! And AB was no let down… The sun was shining and after a week of trying to avoid burgers and steaks, I was looking forward to some good seafood. The ever helpful Tripadvisor made some suggestions and reservations were made. Crabs Claw is right on the beach and a ‘steam pot’ with various bits of seafood including a Alaskan crab claw was ordered. However, you all know the rule about this blog, ‘If it’s on the menu, you have to order it…’. 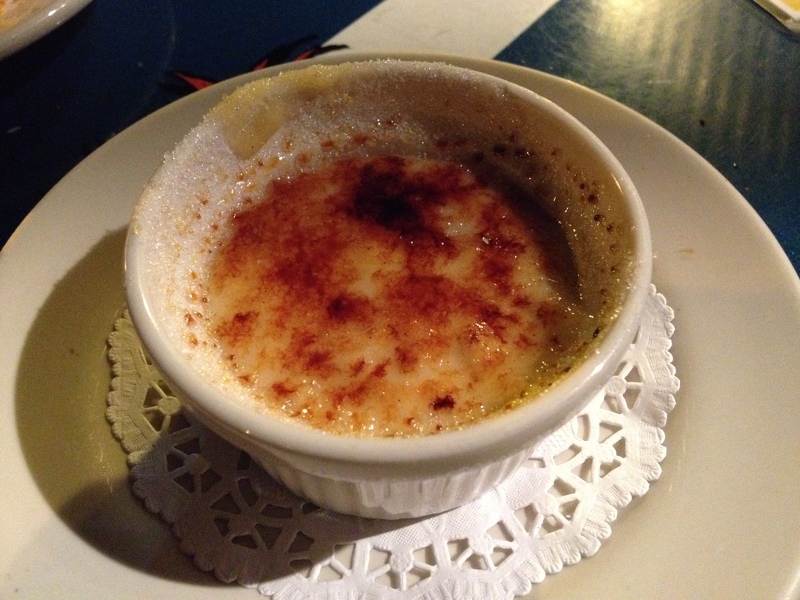 And tonight’s offering was a coconut crème brûlée no less…! Now, for me, this was a first: the brûlée arrived unprepared and our waiter ‘torched’ it at the table! The result meant a little wait as the sugar cooled, but also gave time to check a few things out. The custard was direct from the fridge, so quite cold, and in fact made it somewhat heavy under the spoon. It was however smooth with no signs of curdling and the influence of what I assumed was coconut milk was a pleasant Caribbean twist on this classic. The caramelisation was pretty heavy and hadn’t fully formed under the blow torch flame. That said, it was a simple effort prepared with a little flourish that suited the beach front location and the relaxed service that evening… 5/10. Gordon is doing an amazing job being a single parent and learning to cope with everything that goes with that. 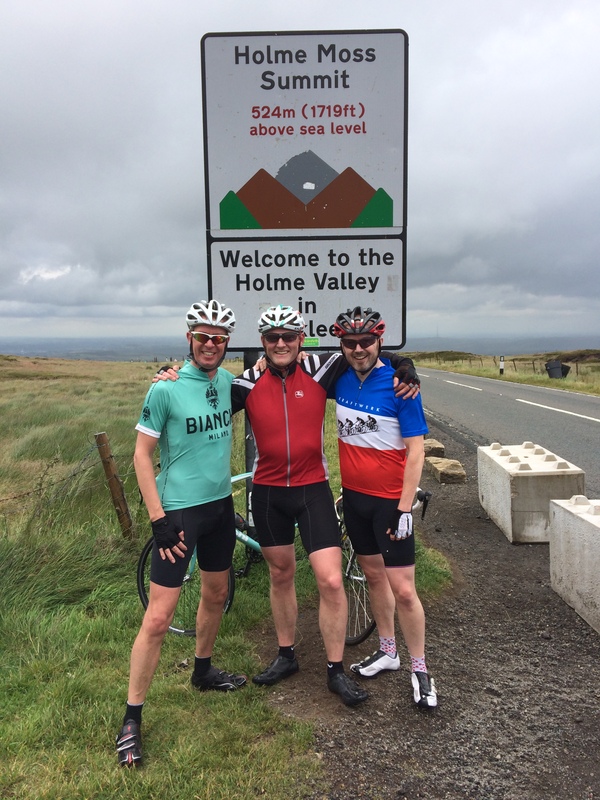 The NCT boys are doing their level best to be supportive, which usually involves going out for the occasional beer and lending a helping hand when Gordon’s man skills require some additional ‘support’…! 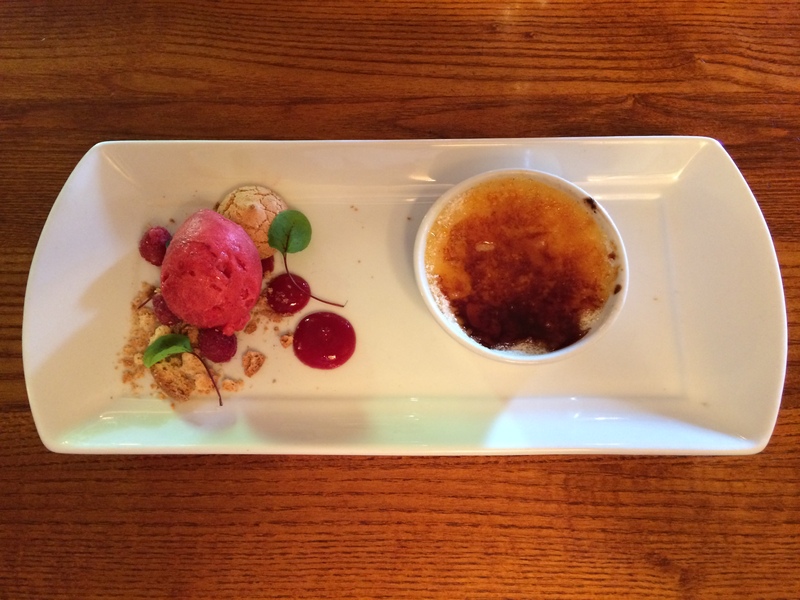 Whilst this post has started on a sombre note, we should talk about the dessert course from our dinner this evening… I have to note that this is the first ever crème brûlée I’ve eaten from a packet. A Sainsburys packet at that! 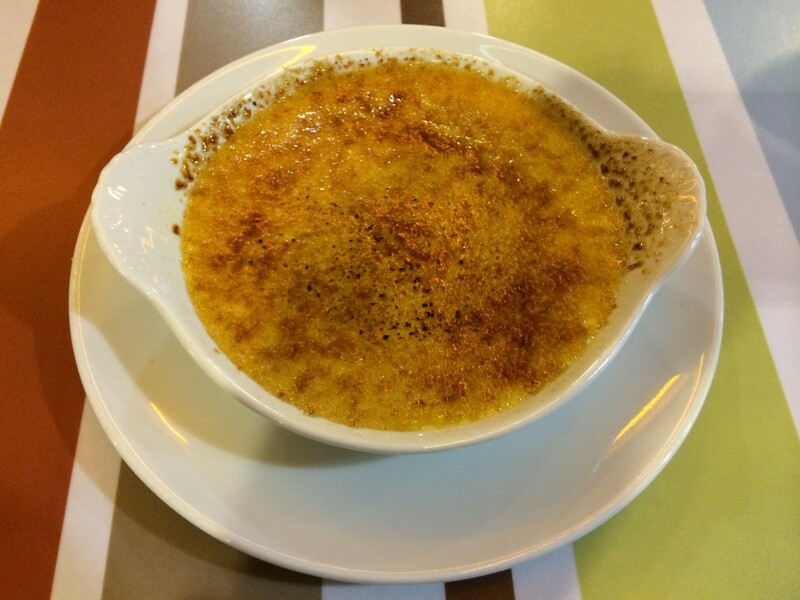 Fair play to Gordon for admitting that he’d ‘messed’ with the original by sprinkling the sugar over the custard long before putting them under the grill for caramelisation… Brûlée herecy no less! 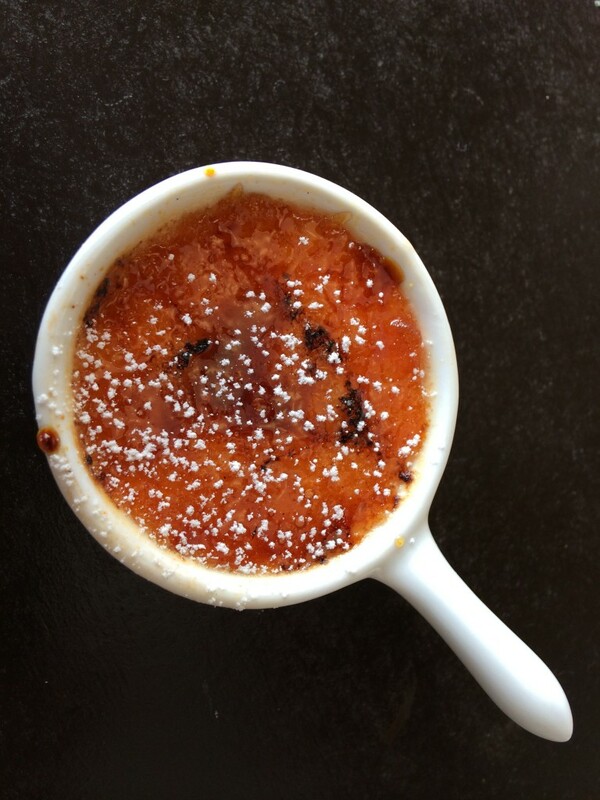 One of the challenges of a good brûlée is in the preparation of the caramelised sugar. How thick should the sugar be? 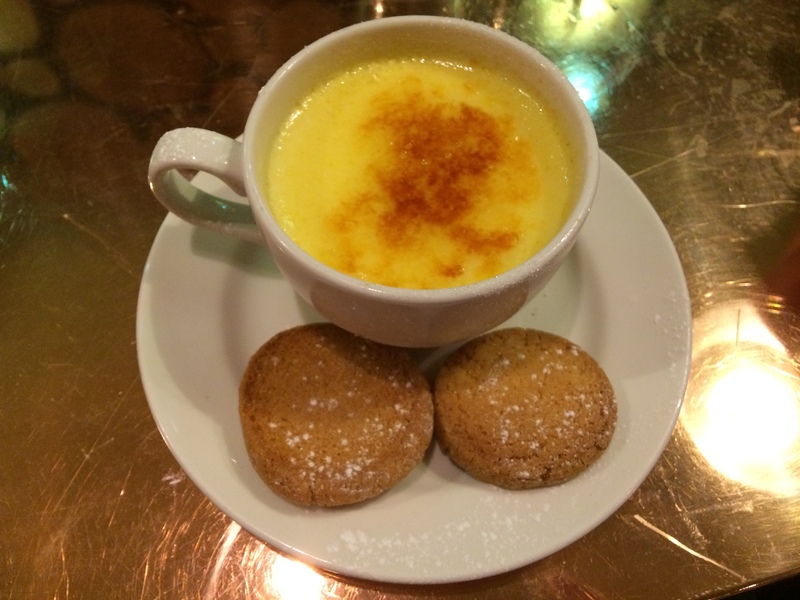 What is the best temperature for the custard before you burn the sugar? What method should be used to caramelise the custard? Honestly, the list of variables is almost endless… Nonetheless, the infusion of blood orange in the basic custard was refreshing, surprising and proved that sticking to the original recipe of a simple vanilla custard and caramelised sugar is not the path to brûlée enlightenment! However, next time Gordon, don’t mess with the product!! 6/10. 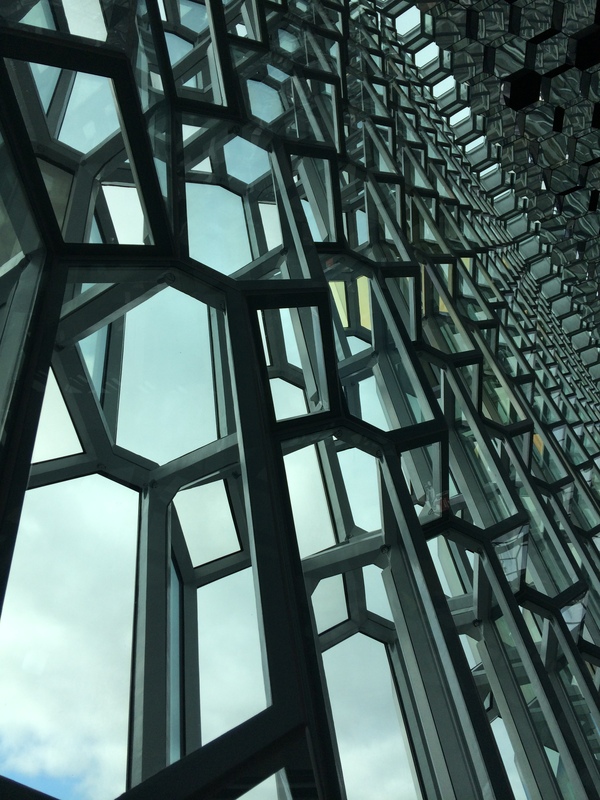 Iceland is cool. You know, not just temperature wise. It has volcanoes. Wild horses. Geysers. Lava fields. Ice. A lot of daylight, at least in summer. People. Buildings. Etc. 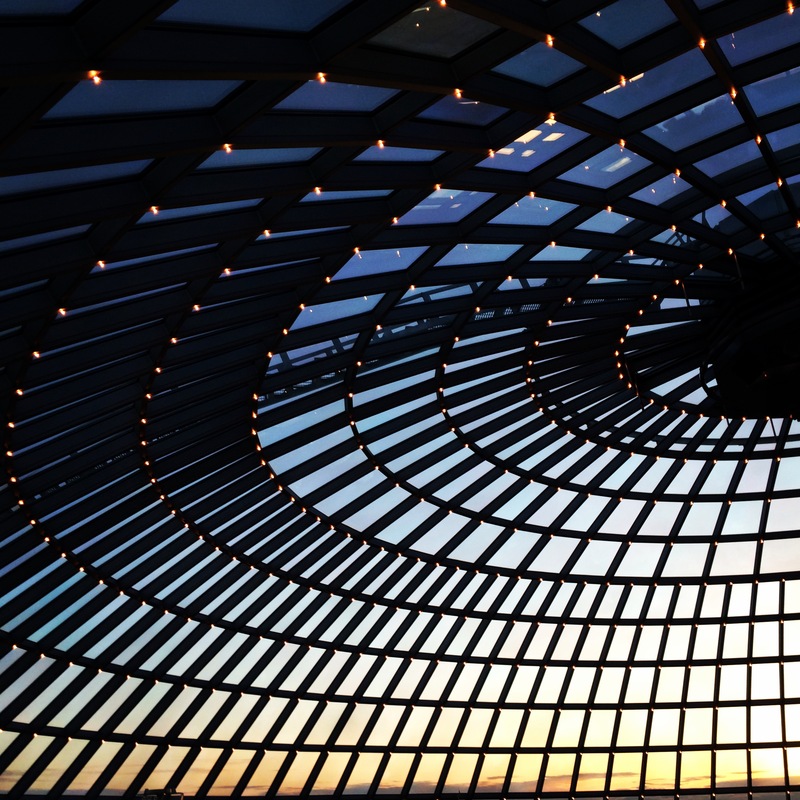 I give you an example; The Perlan. The menu had some outstanding local specialities on it including minke whale and reindeer burgers! 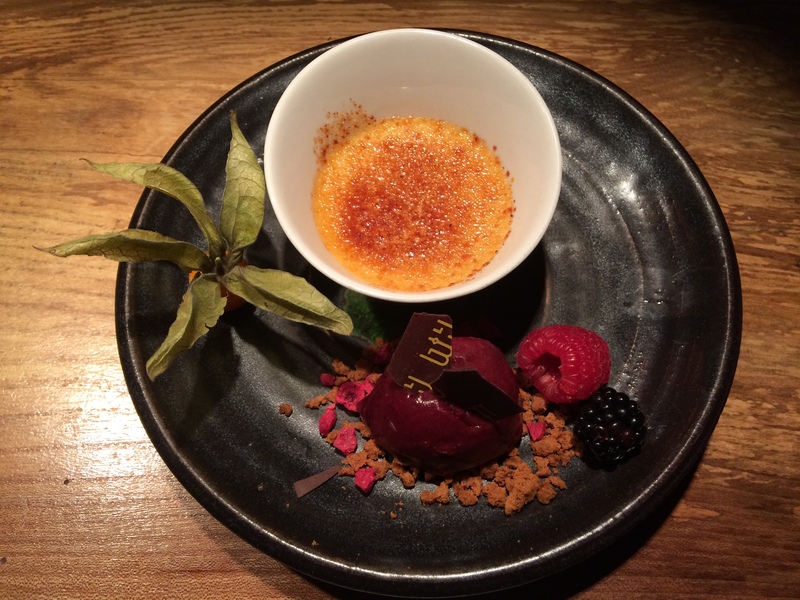 Tonight’s effort was a pretty but small affair with the brûlée presented in a medium depth dish with support from a blackcurrant sorbet, plain chocolate chips, a single blackberry and raspberry and some biscuit crumbles under the sorbet. Sugaring was light and crisp and the custard was smooth yet quite caramelly, which became a little heavy after a few mouthfuls. 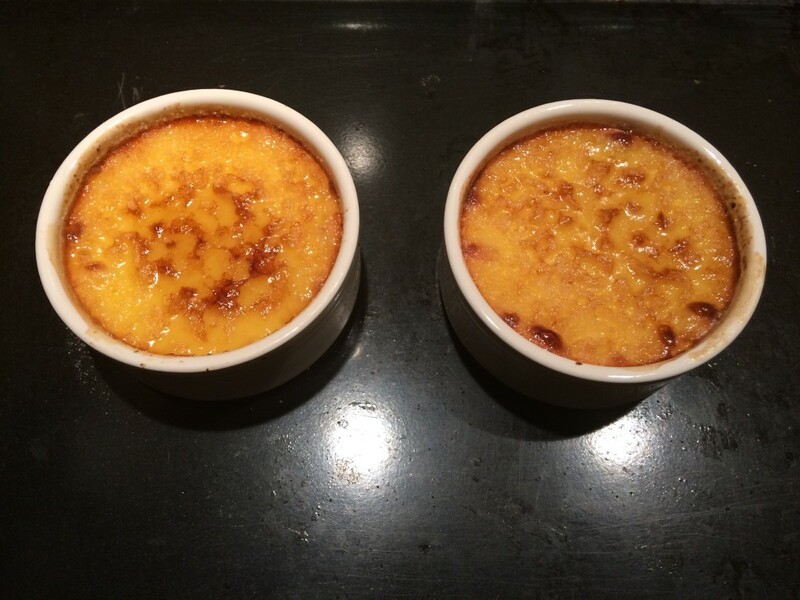 Thankfully, the combination of the sharpness of the sorbet and the sweetness of the custard turned out to be a pleasant combination, and stopped the custard becoming the dominate force in this particular brûlée! 6/10.